We're uncomfortable talking about it. We may try to ignore it or focus our attention on euphemisms: challenges, weaknesses to overcome, struggles, etc. We convince ourselves that the evil in the world is caused by sick people who are nothing like us. 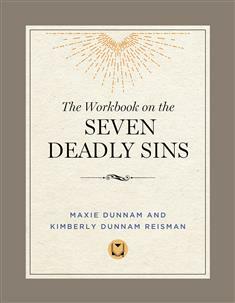 "Sin is real," write the authors of this best-selling workbook. "It's a part of each of us—even those in the church…All social ills are an extension of that which seethes and rages and contorts in the hearts of individuals." The Workbook on the Seven Deadly Sins illustrates how sloth, lust, anger, pride, envy, gluttony, and greed are ever-present in individual lives and society. This 8-week study for individuals or groups is soundly rooted in scripture and helpful without being judgmental. Become more aware of the expressions of sin in your own life. Discover how Christ brings new life and can deliver you from the impulses that get between you and God.